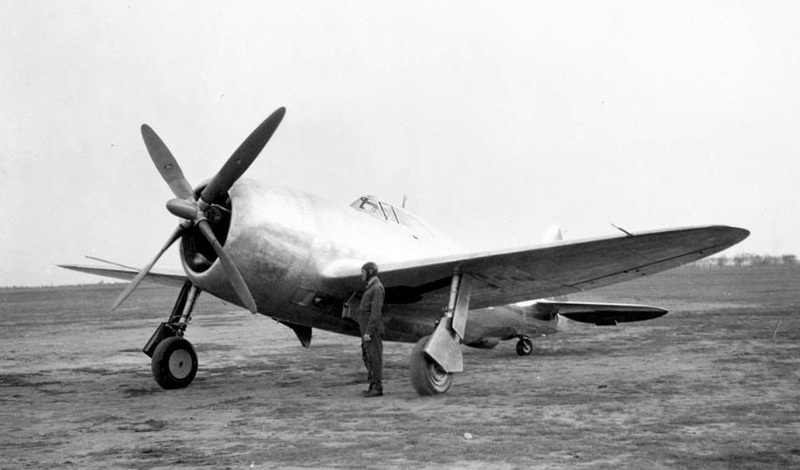 6 May 1941: Just eight months after a prototype for a new single-engine fighter was ordered by the U.S. Army Air Forces, test pilot Lowery Lawson Brabham took off from the Republic Aviation Corporation factory airfield at Farmingdale, New York, and flew the prototype XP-47B Thunderbolt, serial number 40-3051, to Mitchel Field, New York. 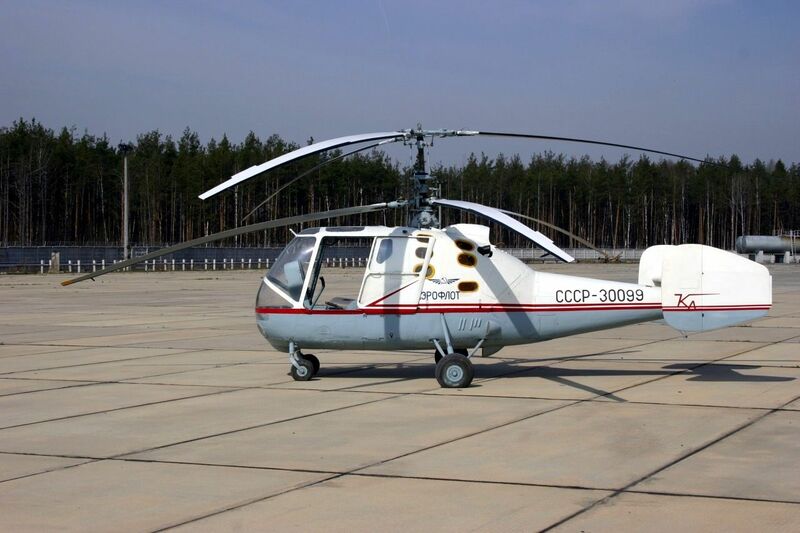 The prototype was designed by Alexander Kartveli, a Georgian immigrant and former chief engineer for the Seversky Aircraft Corporation, which became the Republic Aviation Corporation in 1939. Alexander Kartveli (née Kartvelishvili, ალექსანდრე ქართველი) was born in Tbilisi, in the Kutais Governorate of the Russian Empire, (what is now, Georgia). 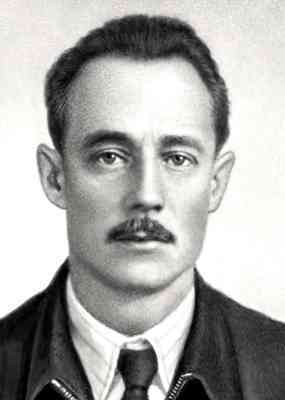 After World War I, during which he was wounded, Kartvelishvili was sent to study at the Paris Aviation Higher College of Engineering in France by the government of the Democratic Republic of Georgia. He graduated in 1922. 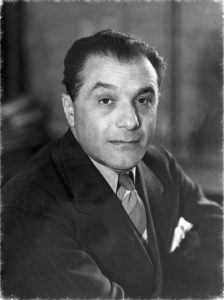 Kartvelishvili did not return to his country, which had fallen to the Red Army in the Soviet-Georgian War. 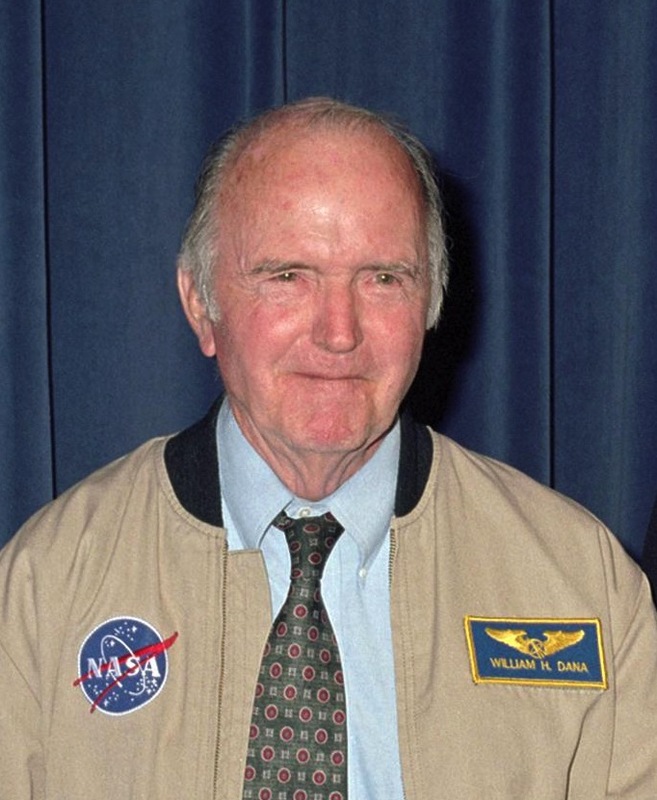 He worked for Blériot Aéronautique S.A. until 1928, when he was employed by the Fokker American Company (also known as Atlantic Aircraft, or Atlantic-Fokker) which was headquartered at Passaic, New Jersey, in the United States. 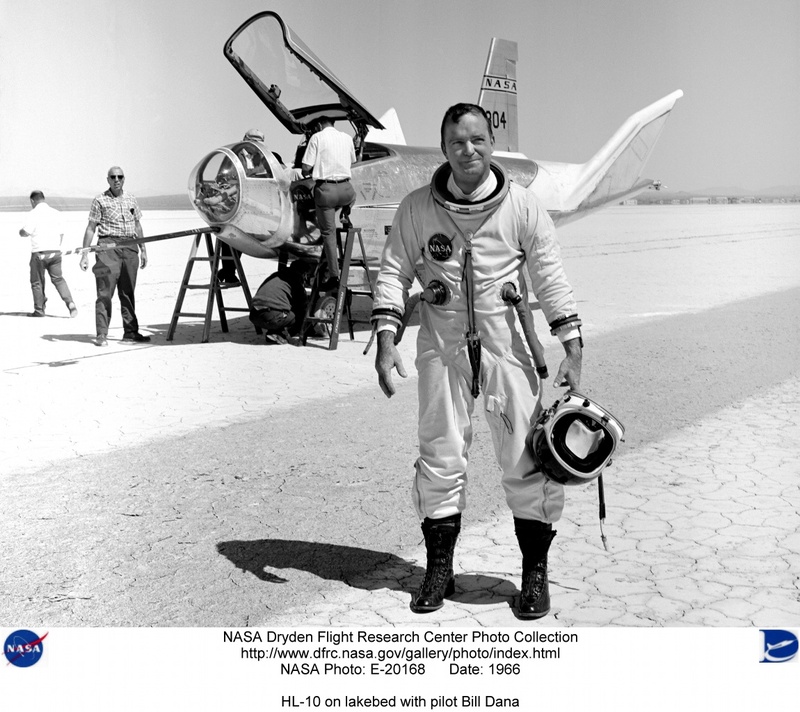 In 1931, he became chief engineer for the Seversky Aircraft Company in Farmingdale. 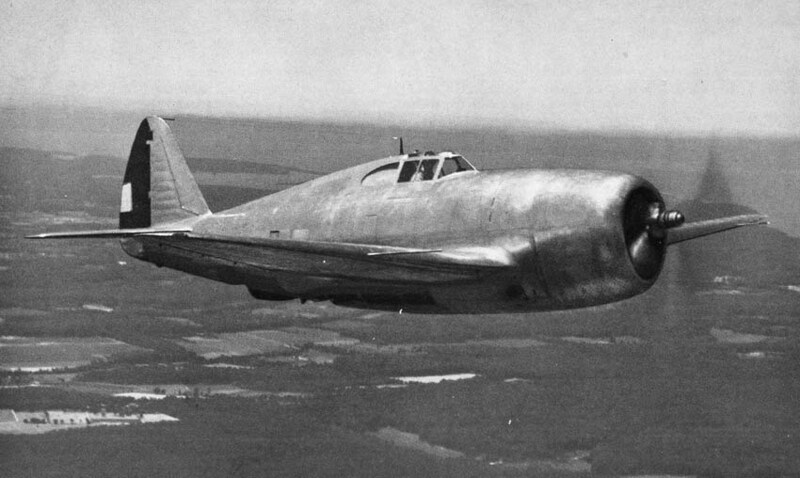 The XP-47B was the largest single-engine fighter that had yet been built. 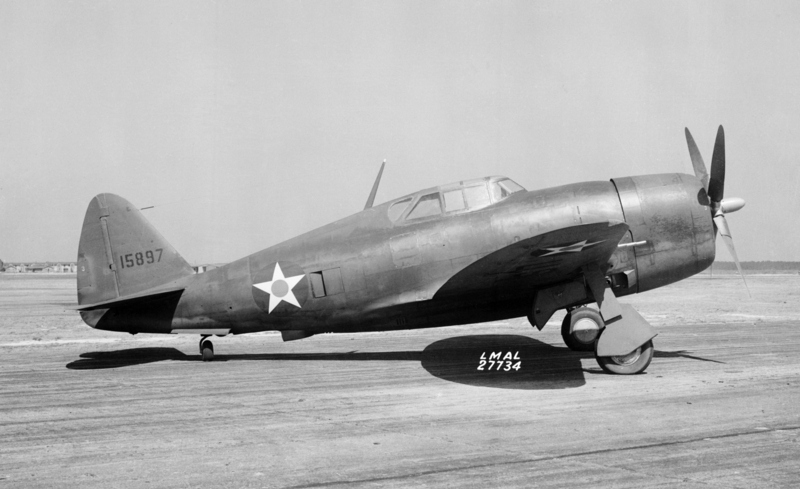 The production P-47B was 34 feet, 10 inches (10.617 meters) long with a wingspan of 40 feet, 9-5/16 inches (12.429 meters), and height of 12 feet, 8 inches (3.861 meters).¹ The wing area was 300 square feet (27.9 square meters). At a gross weight of 12,086 pounds (5,482 kilograms), it was nearly twice as heavy as any of its contemporaries. 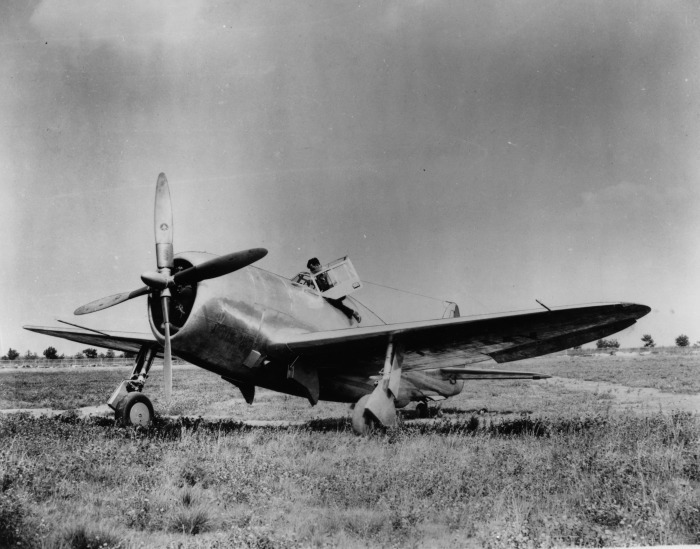 The XP-47B was powered by an air-cooled, supercharged and turbocharged, 2,804.4-cubic-inch-displacement (45.956 liter) Pratt & Whitney R-2800-21 (Double Wasp TSB1-G) two-row, 18-cylinder radial with a compression ratio of 6.65:1 had a normal power rating of 1,625 horsepower at 2,550 r.p.m., to an altitude of 25,000 feet (7,620 meters), and a takeoff/military power rating of 2,000 horsepower at 2,700 r.p.m. at 25,000 feet (7,620 meters). 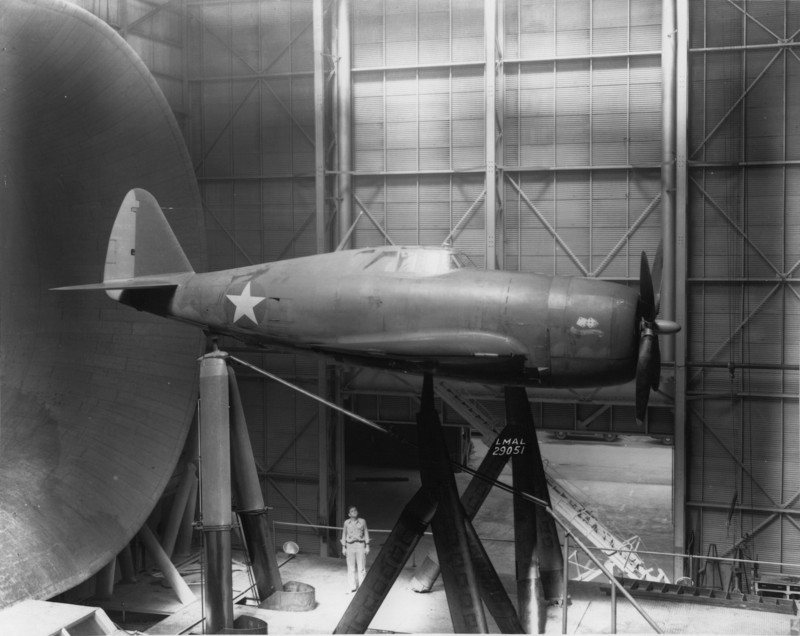 The engine drove a 12-foot, 2 inch (3.708 meter) diameter, four-bladed Curtiss Electric constant-speed propeller through a 2:1 gear reduction. 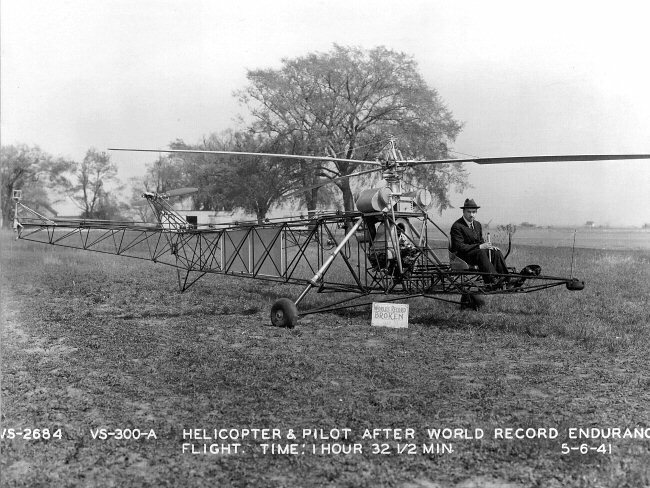 The R-2800-21 was 4 feet, 4.50 inches (1.340 meters) in diameter and 6 feet, 3.72 inches (1.923 meters) long. 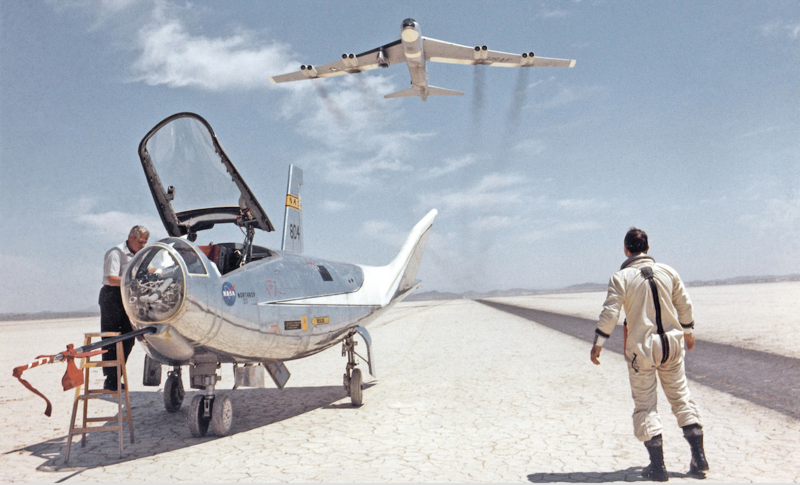 The engine weighed 2,265 pounds (1,027 kilograms). Approximately 80% of these engines were produced by the Ford Motor Company. 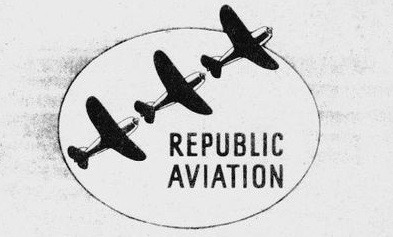 It was also used as a commercial aircraft engine, with optional propeller gear reduction ratios. A large General Electric turbosupercharger was mounted in the rear of the fuselage. Internal ducts carried exhaust gases from the engine to drive the turbocharger. This supercharged air was then carried forward through an intercooler and then on to the carburetor to supply the engine. 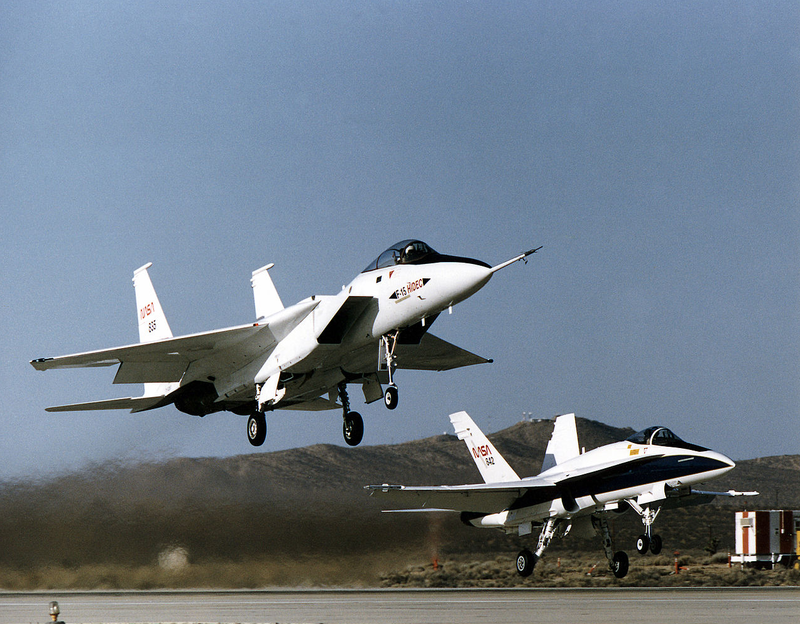 The engine’s mechanical supercharger further pressurized the air-fuel charge. 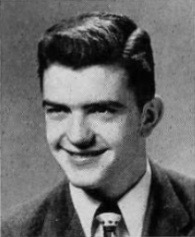 During flight testing, the XP-47B Thunderbolt demonstrated speeds of 344.5 miles per hour (554.4 kilometers per hour) at 5,425 feet (1,654 meters), and 382 miles per hour (615 kilometers per hour) at 15,600 feet (4,745 meters). 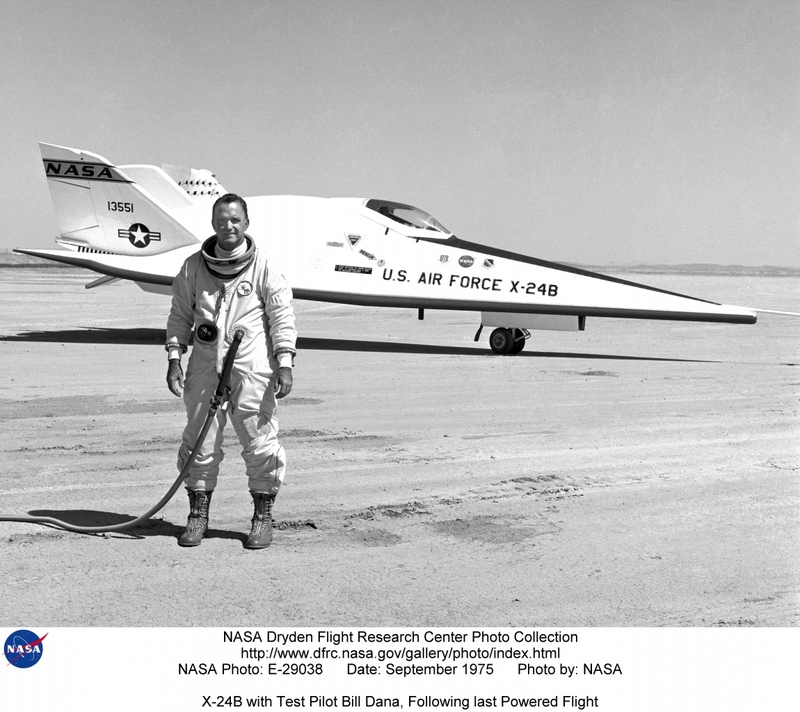 Its maximum speed was 412 miles per hour (663 kilometers per hour) at 25,800 feet (7,864 meters). 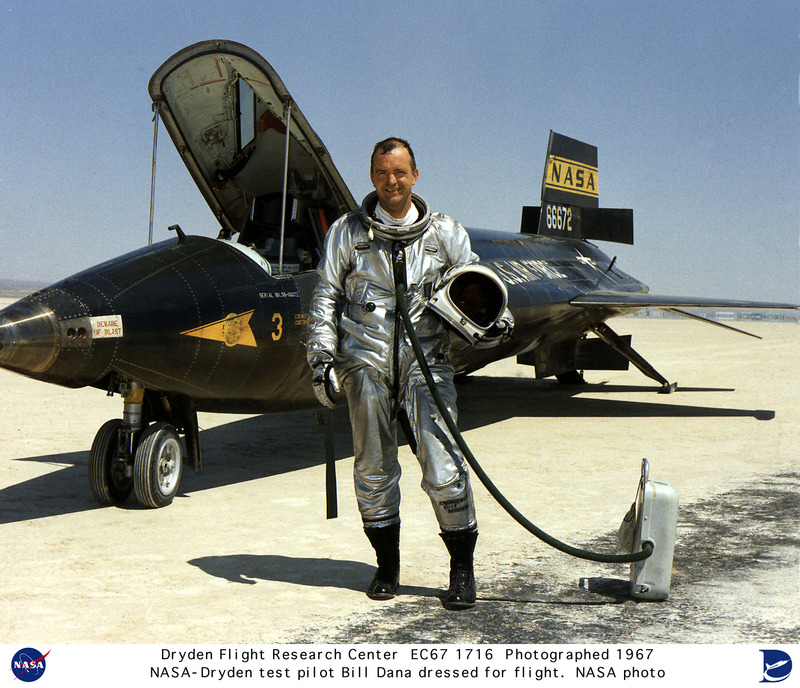 The test pilot reported that the engine was unable to produce full power during these tests. It was determined that it had a cracked cylinder head, resulting in a loss of 2.5–4% of its maximum rated power. 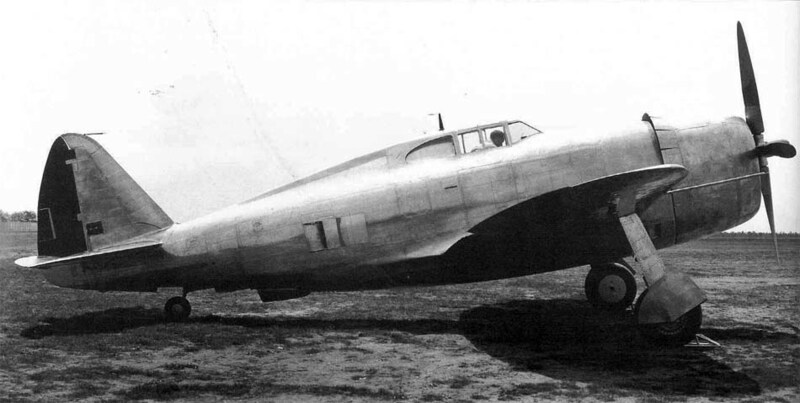 Also, the XP-47B was painted in camouflage, resulting in a slight loss of speed. It could climb to 15,000 feet (4,572 meters) in just five minutes. 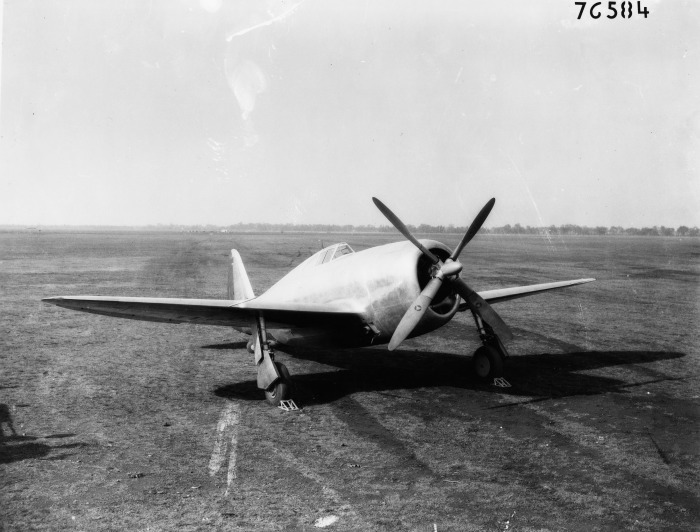 During a test flight, 4 August 1942, the XP-47B’s tail wheel was left down. The extreme heat of the turbocharger’s exhaust set fire to the tire, which then spread to the airplane’s fabric-covered control surfaces. 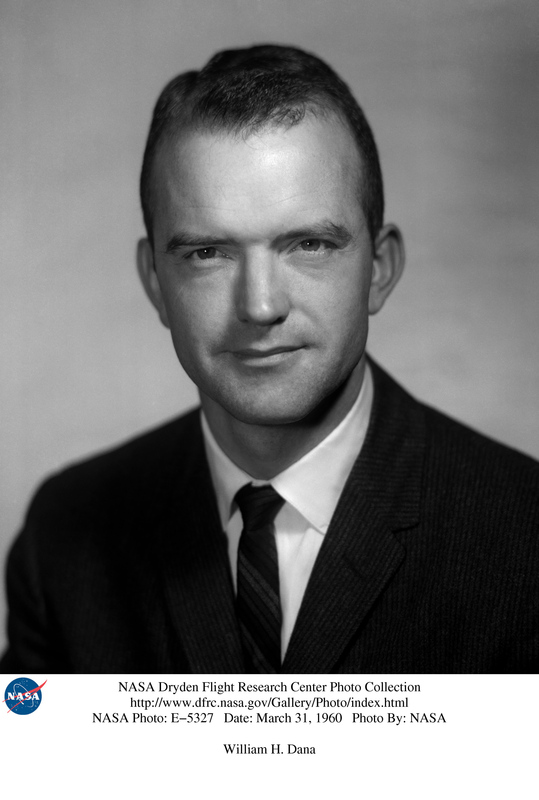 Unable to control the airplane, test pilot Filmore L. Gilmer bailed out. 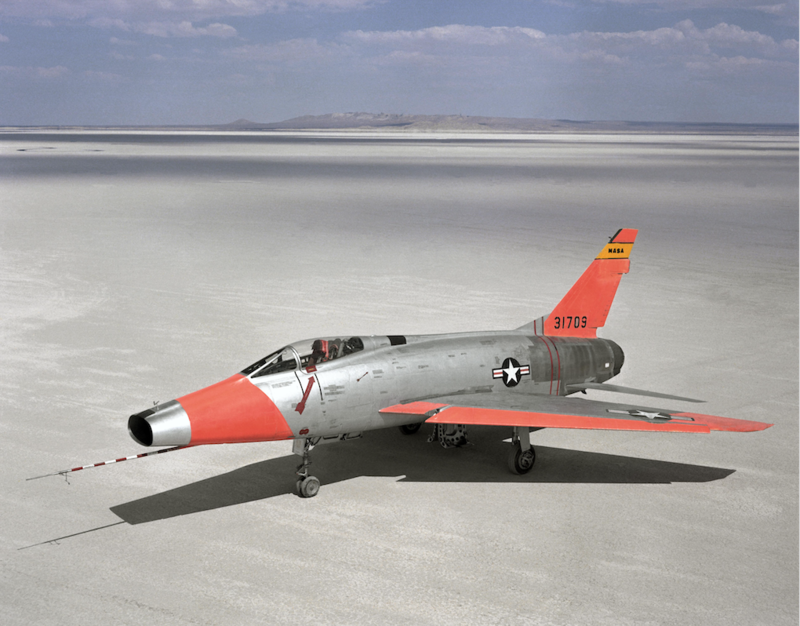 The prototype Thunderbolt crashed into Long Island Sound and was destroyed. Airship D-LZ129 Hindenburg moored at New Jersey at the end of a previous voyage. 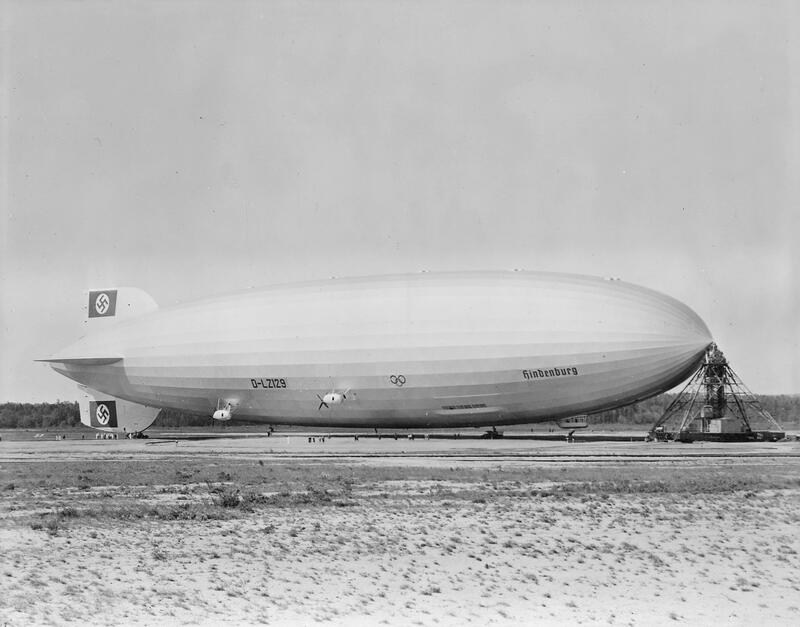 6 May 1937: After a three-day Trans-Atlantic crossing from Frankfurt, Germany, the rigid airship Hindenburg (D-LZ129) arrived at Lakehurst, New Jersey, with 36 passengers and 61 crewmembers. 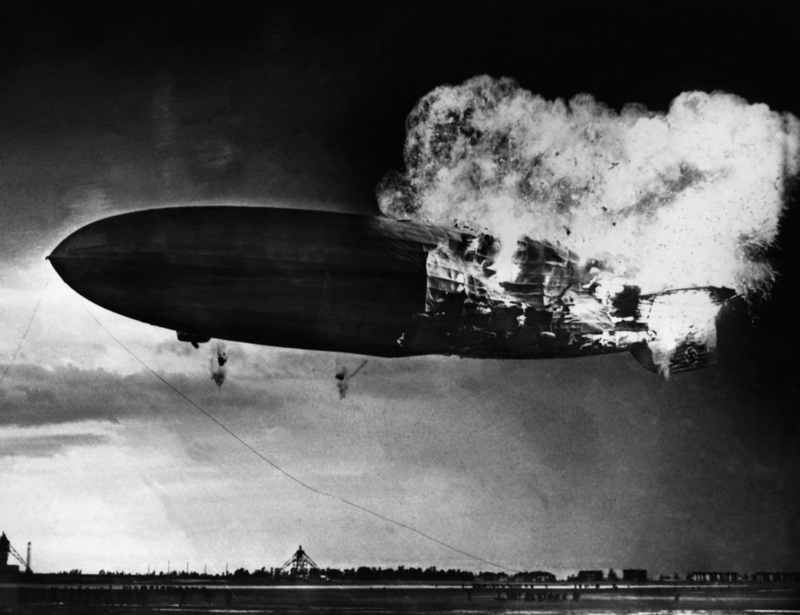 Airship LZ-129 Hindenburg burning, 1925 hours, 6 May 1937, at Lakehurst, New Jersey. 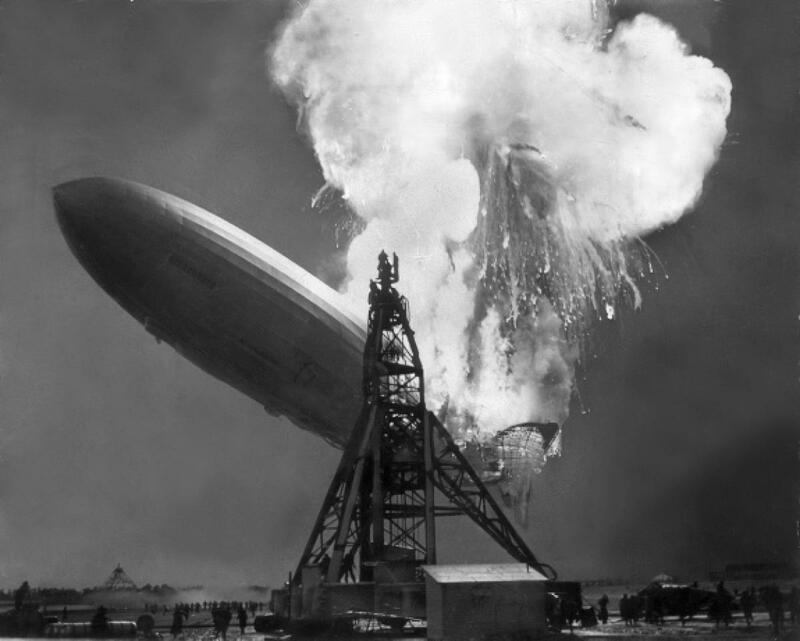 At 7:25 p.m., while the airship was being moored, it suddenly caught fire. 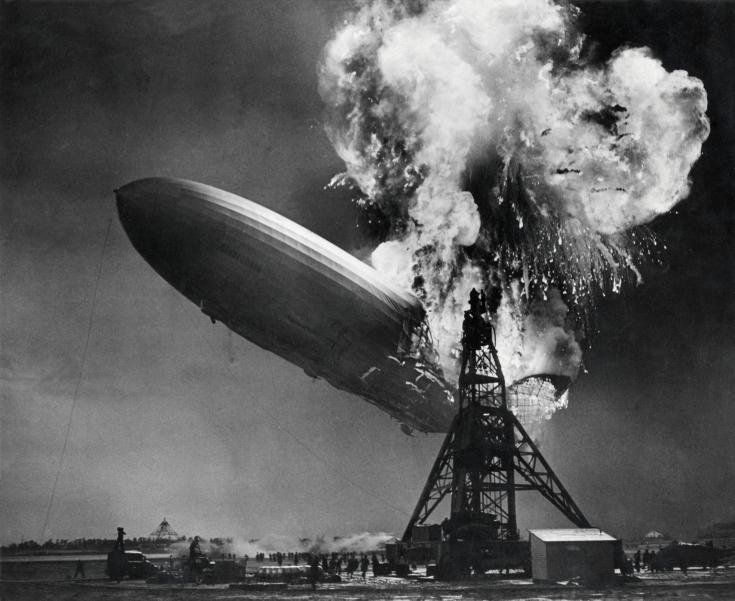 The fabric covering burned first, but then the hydrogen gas contained in the buoyancy tanks exploded and burned. 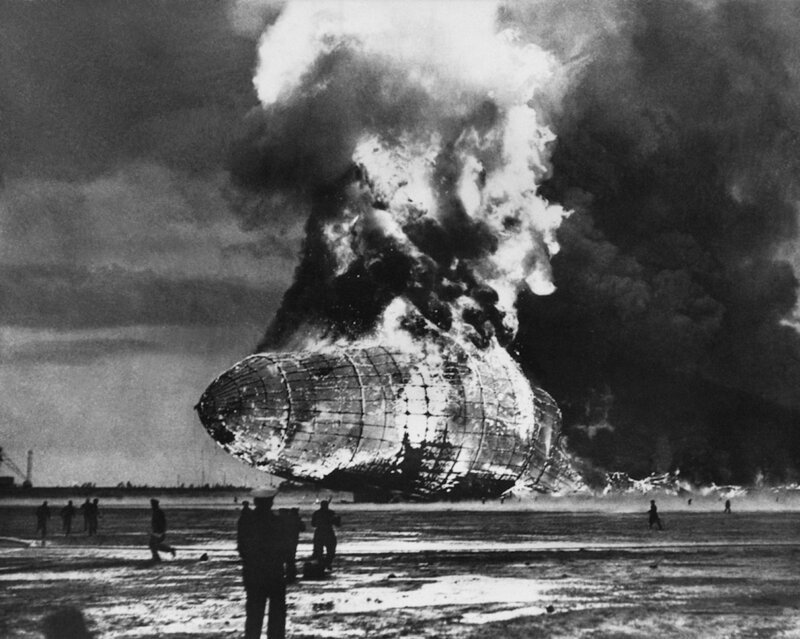 Hindenburg settled to the ground and was completely destroyed within 30 seconds. Of those on board, 13 passengers and 22 crewmembers died. 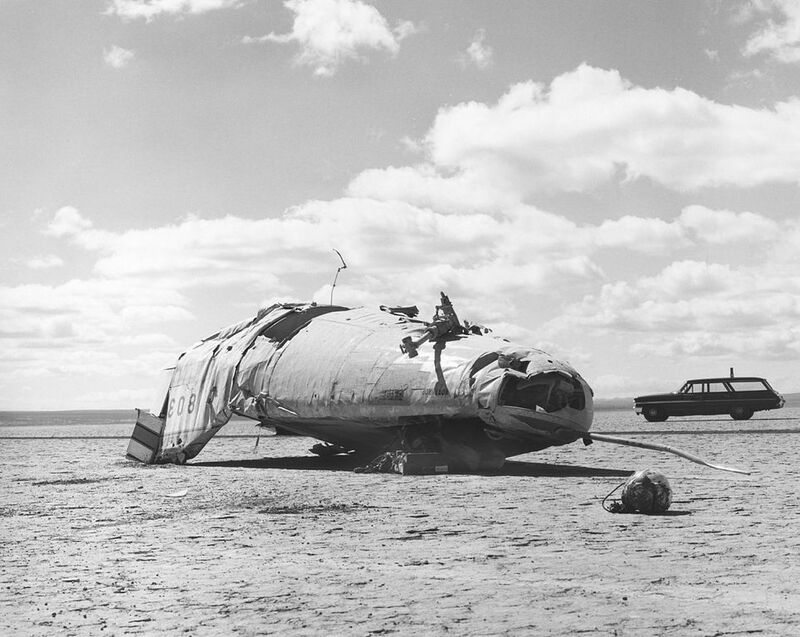 One member of the ground crew was also killed. 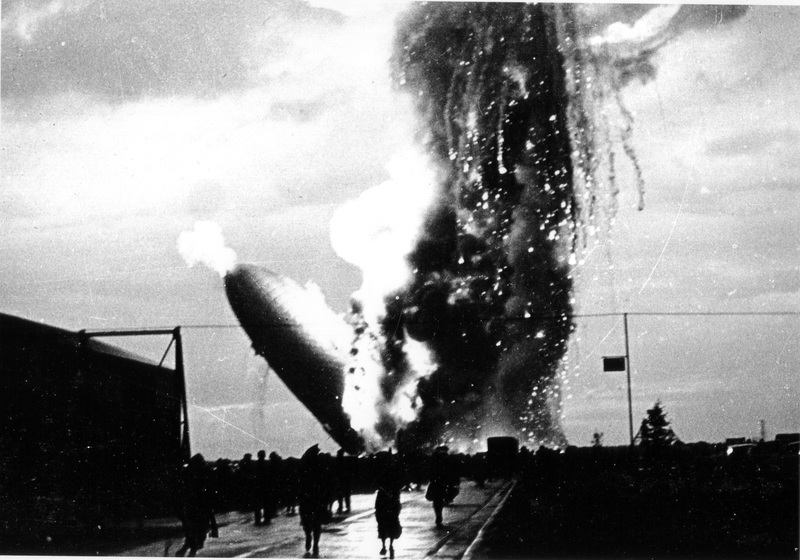 Surprisingly, though there were many survivors and witnesses—as well as newsreel footage of the accident—the cause has never been determined. 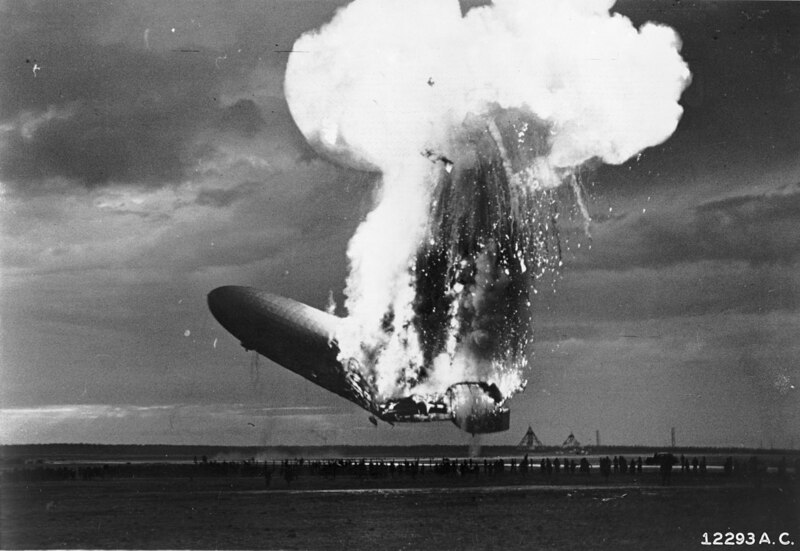 This dramatic accident ended the airship passenger industry.